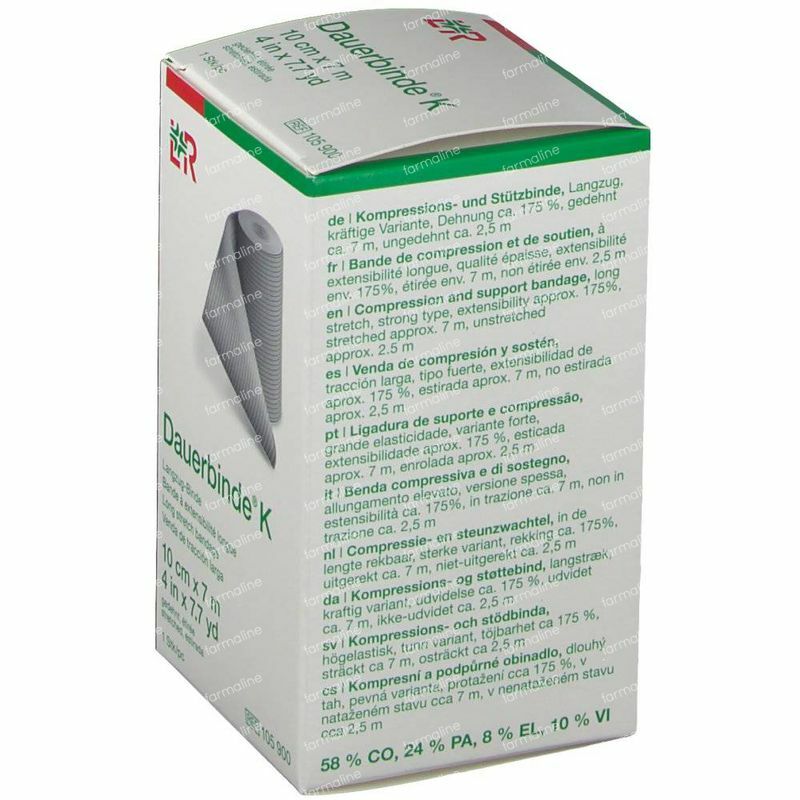 Lohmann & Rauscher Dauerbinde K 10cmx7m 1 item order online. 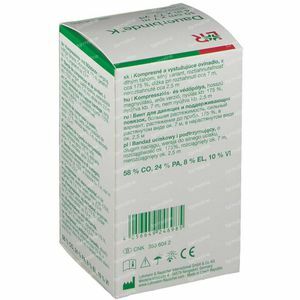 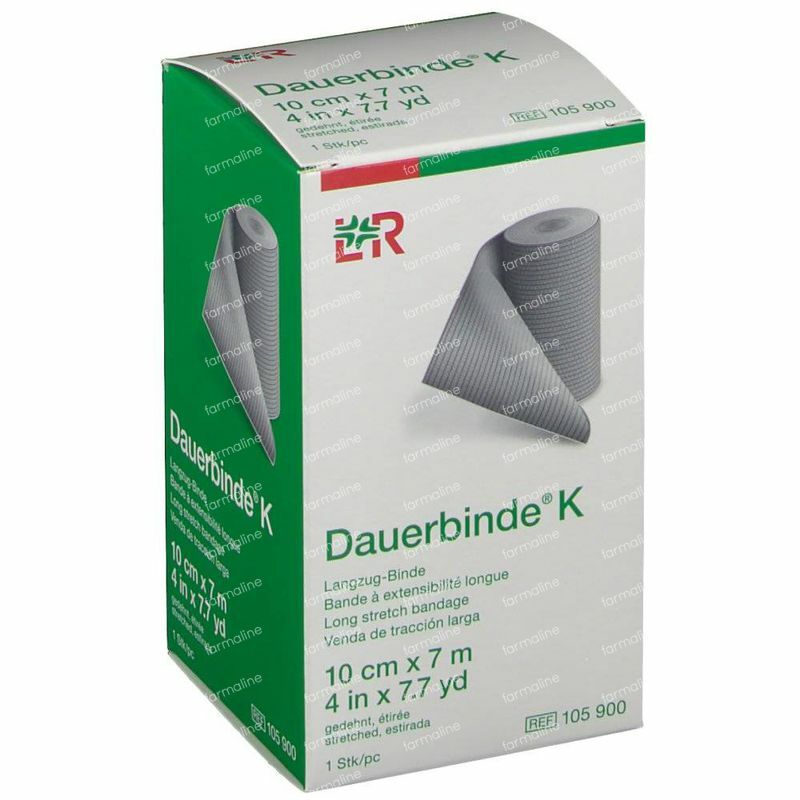 Long-stretch and variable compression — these attributes characterize Dauerbinde K and Dauerbinde F. Both versions are used as supporting and pressure-relieving dressings for ligaments and joints. Because long-stretch bandages have a high resting pressure, they must be removed when the patient is resting and at night. 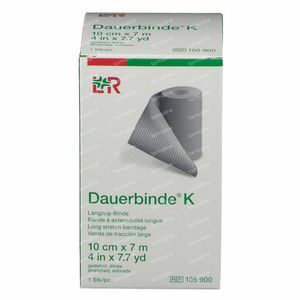 Because these bandages are so easy to use even those who have little experience applying bandages can apply them. These bandages conform well to the body, are not very bulky and are both sturdy and easy to clean. 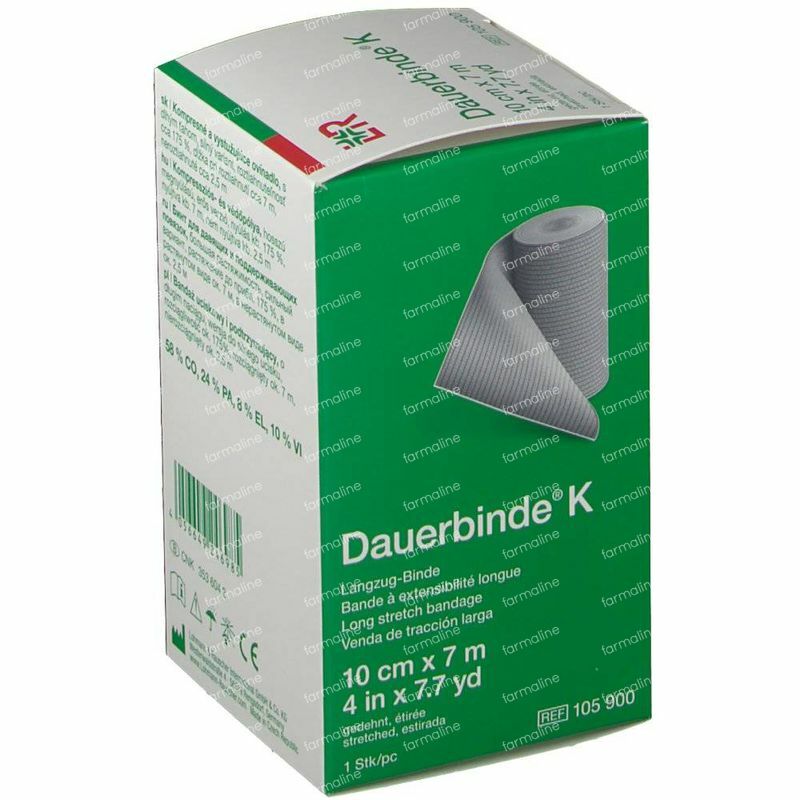 The Dauerbinde K bandage has a characteristic textured woven structure. The Dauerbinde F bandage material has a finer weave. 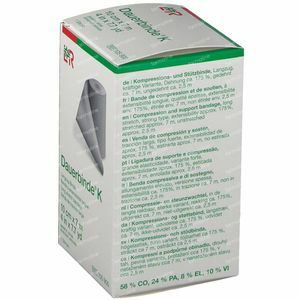 The joint bandages K and F are shorter versions of the Dauerbinde and are therefore well suited for supporting and relieving pressure from the joints.